1 What is Cradle Cap? 2 How do You Know if a Baby has Cradle Cap? 3 Do You have to see the Doctor? 4 What Causes Cradle Cap? 5 How Do You Treat Cradle Cap? 6 Can You Prevent Cradle Cap? Why does your baby sister’s head suddenly look so gross? Don’t worry! It’s probably cradle cap, a very common condition for newborn babies. And while it can look pretty scary, it is actually nothing to worry about! 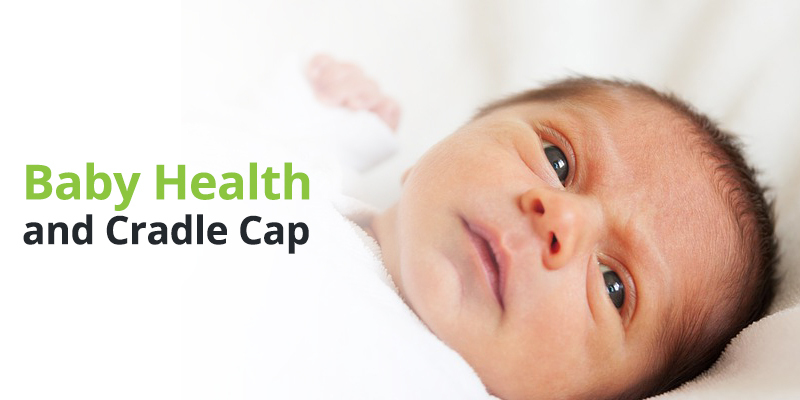 If you want to know what’s going on with cradle cap, read on to find out more! The most important thing to know about cradle cap is that, although it can look a bit weird, it is not contagious and is not going to hurt the baby! It is also called infantile seborrheic dermatitis and it most commonly affects newborns. The scalps of babies who have this condition will look scaly or crusty – these scales and crusts are a mixture of sebum (oil made by your own skin), scales and dead skin cells that need to be sloughed off. Kind of gross, but not harmful! While it does clear up on its own, the time it takes to do this can go anywhere from a few weeks to several months. In some cases, it can take up to a year. How do You Know if a Baby has Cradle Cap? Patches of scaling skin on scalp (this can also appear on eyelids, eyebrow area and ears, the back of the neck, the crease of the nose, armpits and even the diaper area). Some babies with this condition will lose their hair, but it will grow back normally again after the cradle cap has been resolved. Unlike other skin conditions that can affect babies – such as eczema or contact dermatitis – itchiness is not a problem with cradle cap. There is no scarring after the condition resolves; however, the skin can clear and come back again later in a baby’s life. Do You have to see the Doctor? Parents who are treating cradle cap for the first time. Home treatment with a mild baby shampoo is unsuccessful and parents would like something stronger. The condition appears to be spreading or covers a large area of the baby’s body. The baby’s skin becomes warm and red to the touch and/or begins to have drainage. This can be a sign that the skin is infected and the doctor might need to prescribe antibiotics to get it cleared up! No one is exactly sure what causes cradle cap – and why some babies get it but other do not! One thing they do know, though, is that it is not caused by poor baby care or by some sort of allergic reaction of the baby’s skin. Some doctors believe that cradle cap might be caused by the hormones that your mom passed to her baby when she gave birth. These hormones can stimulate the baby’s skin to make more sebum than it should. Other doctors think that at least part of the problem is malassezia, a kind of yeast which grows in the sebum and can cause an overgrowth that is much like a yeast infection. Wash baby’s hair daily; sometimes, doctors will prescribe a special anti-fungal shampoo in case the cradle cap is being caused by an overgrowth of yeast. Some doctors suggest that parents rub a small amount of mineral or other oil onto the baby’s head and let it set for a few minutes before brushing and shampooing the baby’s head. This can loosen the scales and make them easier to remove. The doctor will sometimes prescribe hydrocortisone cream to put on other areas of the baby’s body that are affected. It is important that parents consult with the doctor before trying any kind of medicated shampoo, such as those which contain sulfur or salicylic acid. It is also important not to use any over-the-counter creams without MD approval. Some of these creams and shampoos are not meant for babies and can make them sick. Can You Prevent Cradle Cap? The best way to prevent cradle cap in the first place is to shampoo the baby every 2-3 days. But again, just because a baby does get cradle cap, this does not mean that his parents are not taking good care of him. For unknown reasons, some babies just seem to be more vulnerable to this condition than others. So – it’s okay to go on playing with and getting to know your baby brother or sister – even if their head does look pretty weird! You’re not going to get sick or catch anything and it doesn’t mean the baby is sick either. It is just another part of growing up and pretty soon, they will be back to normal!